From the time she was four years old, Cleveland-area teenager Michelle Lucic found herself being bullied. As we know, bullying has pushed to the forefront of childhood issues — so much so that the US government launched a specific website to help parents and children learn to deal with bullying. Bullying can cause stress, anxiety, self-harm, and long-term trauma for children of all ages, and Lucic was no different. She did this, she said, because she wanted to help people forget their own problems in the real word. 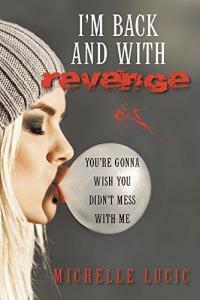 At 15 years old, Lucic noted that her book, “I’m Back and With Revenge,” had more than 1.1 million reads and has served as a landing page for her to continue writing. “Writing the book was kind of like a therapy for me, and it helped me a lot,” she said. Her experience is one that many professionals have found to be true: there are many ways parents, educators, and other adults can help kids deal with stress or trauma through writing, while developing a variety of other life skills. As a whole, the genre of life storytelling is one that, over a variety of media types, has the power to change lives. The authors find that they are able to heal from the traumatic life event or experience that affected their lives. By going back and examining the situation and the outcome, the author finds a safe and healthy way to process the situation and the effect it had on their life. Adults and children alike find that telling their story gives them a way to gain strength and learn that they are an overcomer. Deb Ross, publisher of KidsOutandAbout.com and author of Seasons and Reasons: A Parent’s Guide to Cultivating Great Kids, noted the benefit in an example very similar to Lucic’s life story. 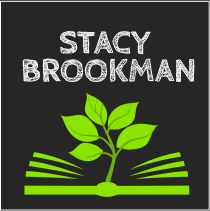 In this podcast about Teaching Kids to Fail Well, she explains that children should be raised to believe that they are writers. That provides them a long-term advantage over peers who haven’t developed that skill, while finding an outlet that helps them learn about and relate to their world. “Everything is material and part of a story,” Ross says. 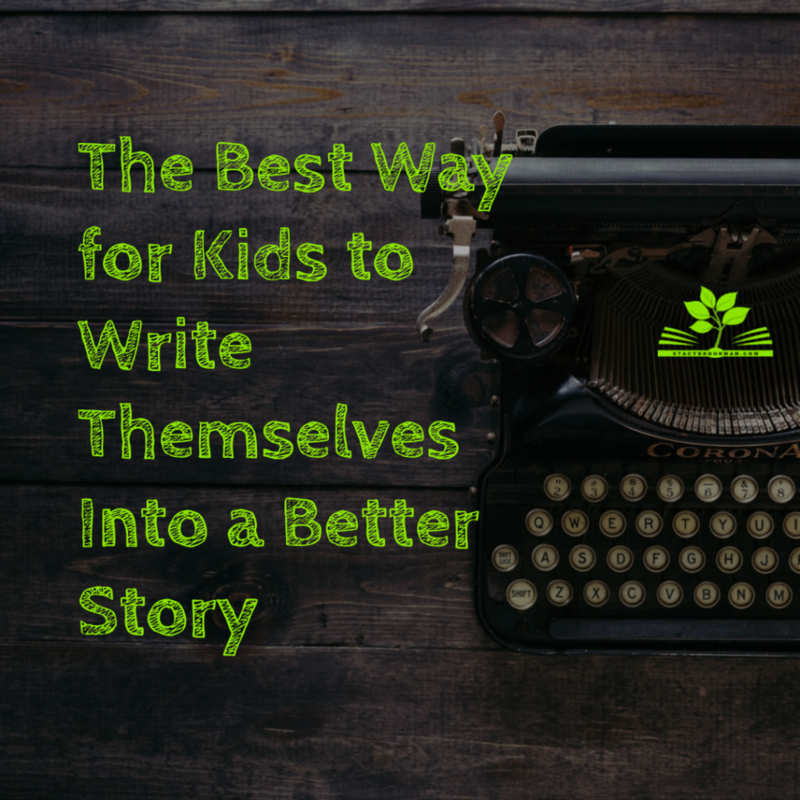 She believes that children should embrace this for both the good and the bad because when they write about what happened, they are learning about the story arc — how it started, how it developed, and how it ended. I’ve seen storytelling develop in my own kids who are now teenagers. One of my girls can tell a great tale verbally, and often uses exaggeration pretty darn creatively. The other one writes out her inner storytelling thoughts on a public fan fiction forum, anonymously writing herself into stories as she goes. It’s great practice for the real world! That’s an interesting phenomenon…the fact that kids can write themselves into the story. Ross says that a child might come home and talk about an incident where a class bully said something mean to one of the child’s friends. Right there, in that incident, they have the ingredients for a good story: a plot, an evildoer, tension, and a resolution. 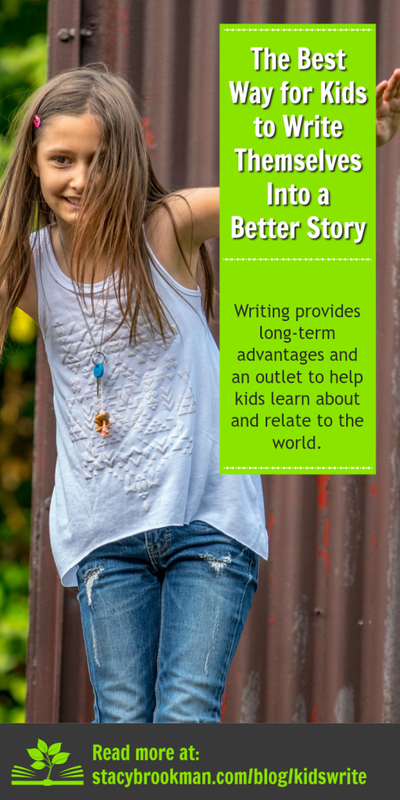 Encouraging the child to write about the incident provides a positive outlet but also opens the doors for the child to create a different ending by thinking about the way the situation was handled and then writing about a better option for resolving the situation. Following the Sept. 11, 2001, attack on the World Trade Center, children started drawing pictures of planes flying into buildings. The art, Kennedy believes, was a way for children to put themselves in control of their emotions and fears to feel safe, even in the face of an unimaginable tragedy. Children were learning how to come to terms with the way they understood life. Courage: When they assess and analyze their situations through writing, children learn courage. They can see how they handled different scenarios, and can think about what they might have done differently. Writing about the situation is especially beneficial when the experience is ongoing. As children write and contribute to their piece, they need to think about and develop responses from their characters; this control over characters on the page, in turn, gives them the courage to stand up in their situation and take control in their own life. Peace: The world is a scary place. When you turn on the news and hear about war, violence, corruption, and evil acts, even parents get scared. We look for ways to shield our children from the reality of the situation and we try to find the best ways to explain what’s happening — something that we can’t even do for ourselves many times. Think about how much scarier that is for a child who doesn’t have as much experience. Writing allows children to pour out their feelings about the world. Sometimes they will produce a piece that has a positive ending, having changed the perspective and plot to make situation understandable to their minds. Sometimes they will give you a paper filled with anger and darkness — it might alarm you, but it shouldn’t. It affords them a way to process, in their own way, their perception of a situation. Kennedy recalled a time he was teaching a class, and a high school student submitted a piece filled with horrifying tales of a fraternity’s murderous hazing rituals. The student found that writing let him express his anxiety about keeping up with social norms as he prepared for college, finding himself in the midst of peer pressure and the fear of the unknown. Creativity and Imagination: When children have the opportunity to rewrite the ending to their story, they develop the skills needed to change their perspective and perception on their reality. While this leads to better writing, it also creates out-of-the-box thinkers and problem solvers who can apply those skills to any career path in the future. The ability to fail: Ross explains that, in her experience, one of the most important skills any child can develop is the ability to successfully fail. Failure, she notes, is a skill not taught in schools. It encourages us to explore the edge of our own abilities and get out of the frame of mind where we think we know everything. It shows us that we aren’t perfect, that we can learn to be satisfied, and that we can take those failures and grow from them. When children see their parents fail (as in writing a piece and then editing it), they learn that it is both safe and healthy. When they choose to write and edit their own pieces, when they cross out and “murder” their own words, they see that they, too, fail — but that they can find a new and better way to move forward. Better overall health: In one study, conducted by Dr. James W. Pennebaker of the University of Texas, Austin, psychology department, 46 healthy college students were asked to write for 15 minutes a day on four consecutive days about either a trivial subject or a personally traumatic experience. The study followed the correlation between their writing and health, and showed that in the six months after they conducted the four days of writing, the students who wrote about a traumatic experience showed many benefits, including less frequent use of pain relievers and fewer visits to the campus health center. A healthy — and advantageous — habit: With such an emphasis on standardized testing, freewriting and writing for fun are being cut from public education programs. Forbes, notes, though, that writing skills are an extremely valuable skill in the workplace. Learning to be concise, direct, and clear is one of the best ways a candidate can stand out in the hiring pool; learning and developing those skills now sets kids up on a successful career path. Have your child pick out either one adult, a company, or influencer for whom they feel gratitude — and write a thank-you note. Ross says that when she began doing that with her children, they learned how to write both positive and negative letters respectfully and concisely, with good grammar. It teaches them to look around their world with greater examination and detail. They then realize that they can have an impact on the world. For the next week, encourage your child to take 15 minutes to write about their day. A preschooler or young elementary school child might draw a picture about something happened, while older children might write a journal or freewrite about an experience. Some children might not want to write — that’s fine. Start them in the habit of talking about their day, and ask open-ended questions that cause them to think and respond. They might open up to you, or they might refuse, at which point you can suggest journaling. You can also try a funny fill-in-the-blanks story with spaces for adjectives, nouns, and verbs, imagining the cause of an unexpected sight from the day, or talking about text messages. The goal is to encourage the use of words with your children. Ask about their day, and then ask about the details. You’ll be building habits that will allow them experience the benefits of life storytelling while helping them heal from stress and trauma. Oh, and P.S. – YOU can write a note of gratitude and freewrite about your day alongside your child. Your example will help you, and just might stick with them the rest of their lives.